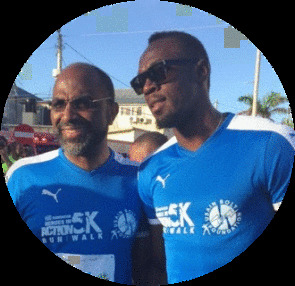 PROUD MOMENTS: Celebrating with members of his family at the PSOJ Hall of Fame ceremony on Wednesday; (below) with the World's Fastest Man at the recent Heroes in Action 5K Run/Walk in Falmouth. A couple of special moments made this a standout week for Earl Jarrett. 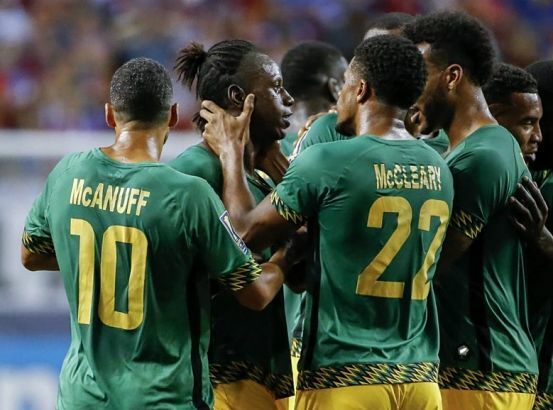 First, he was inducted into the Private Sector Organization of Jamaica’s Hall of Fame on Wednesday night during a lavish ceremony at the Jamaica Pegasus Hotel. 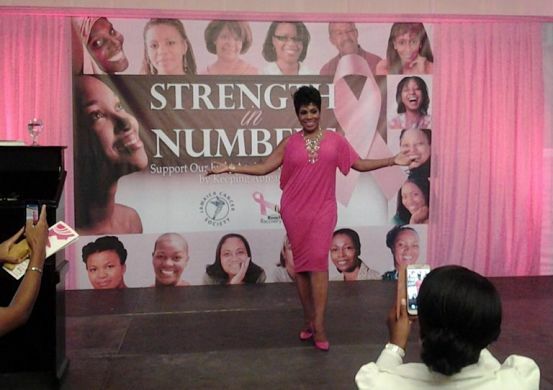 Second, he returned to the hotel’s Grand Jamaican Suite Thursday afternoon to rub shoulders and chit-chat with charismatic diva Sheryl Lee Ralph, who gave the keynote address (“an excellent idea”) at the Keeping Abreast luncheon put on by the Jamaica Cancer Society, which Jarett has been serving as Chairman for years. 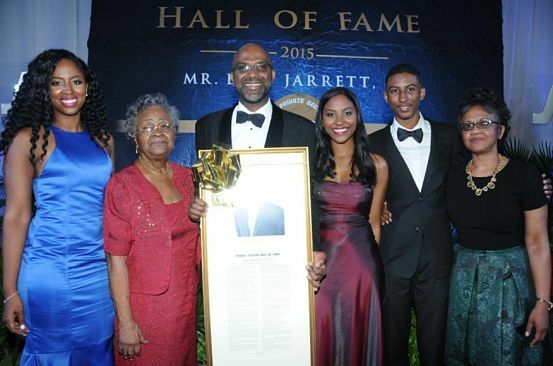 Earl Jarrett’s résumé is massive, revealing his involvement with a wide range of Jamaican organizations and social causes. As such, we’ve always wanted to ask the JNBS General Manager how he finds time to wear so many hats and serve in so many different capacities. He sums up his response with one solid word: support. STAR QUALITY: It's all eyes on me, as Ralph commands the stage for a round of photographs following her big speech. season’s Flow Super Cup that’s been lifting the spirits of local football enthusiasts her in city Kingston….. And on that note, the countdown to Kingston Music Week is officially on! While the RJR team continues to fine-tune logistics, buzz is already building for concert performances by Raging Fyah, Kabaka Pyramid, Morgan Heritage and many more at venues all over town. Watch this space for details. Kingston Music Week 2015 is scheduled for December 1-7….. As a precursor of sorts, culture lovers are also looking forward to the fourth staging of the Jamaica Music Conference (Nov. 20-22), which will feature workshops, panel discussions, performances etc….. And, finally, stylistas and fashion-scene folks will all be hoping to score an invite to the opening of the first store by budding mogul, designer and Mission Catwalk producer Keneea Linton-George (aka The Red Queen). The trailblazer publicly revealed this week that the grand opening is high on her list of priorities for the foreseeable future. Now that’s what we call making strides! Stay tuned. 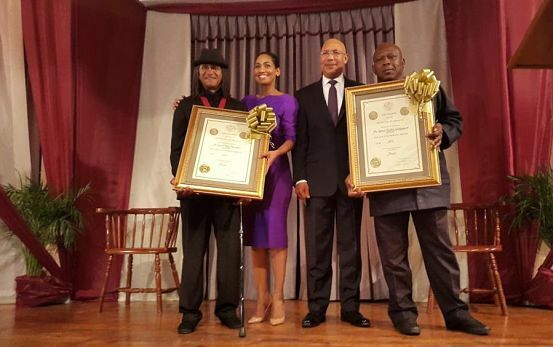 NATIONAL TREASURES: The legendary musicians, with Sir Patrick Allen and Lisa Hanna sharing the stage at Wednesday's ceremony. They may be two-time Grammy winners for Best Reggae Album at the Grammy Awards, but for Sly & Robbie, a Gold Musgrave Medal from the Institute of Jamaica symbolizes a level of accomplishment that surprises even them. Past recipients of the Gold Musgrave Medal include Loan Goodison and the late Anthony Winkler. “”It’s a great feeling. We never expected this, but we’ve been putting in the work all these years, taking reggae music to the world, so a major award like this tells you that the work is appreciated by your own people,” the ageless Robert ‘Robbie’ Shakespeare tells TALLAWAH, looking trim and elegant (in a black bespoke suit) and supported by a walking cane, at Wednesday’s medal presentation ceremony inside the Institute’s Lecture Hall in Downtown Kingston. Sly & Robbie (the Rhythm Twins widely known for their Taxi Records and hitmaking prowess) have been nominated for some 11 Grammy Awards throughout their illustrious career and have reportedly worked on nearly 200,000 singles as producers since the 1970s. They topped this year’s list of Musgrave Medal honorees, which also includes acclaimed US-based historian and novelist Orlando Patterson, the other Gold Medal recipient for 2015, who was unavoidably absent. Also missing the lovely afternoon ceremony – that featured appearances by Governor General Sir Patrick Allen and Youth & Culture minister Lisa Hanna – was Myrna Hague-Bradshaw, widely considered as Jamaica’s First Lady of Jazz, who received a Silver medal for distinguished eminence in the field of music. 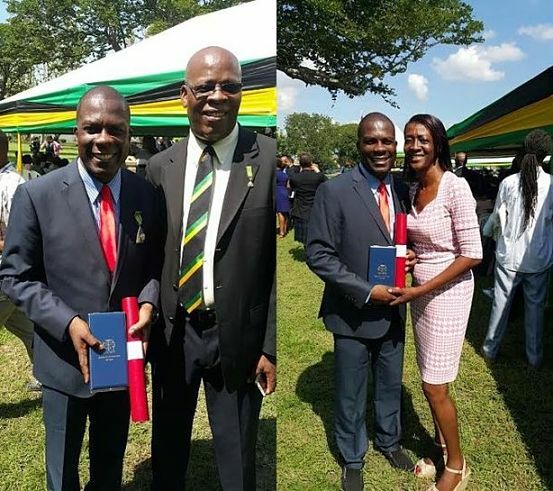 Five other cultural and public service stalwarts were presented with silver medals for their outstanding achievements: architect par excellence Errol Charles Alberga Jr; poet and painter Ralph C. Thompson; dance icon Patsy Ricketts; photography genius Donnette Ingrid Zacca and holistic and complementary medicine expert Dr. Horace Anthony Vendryes. No bronze medals were given out this year. The Musgrave Medals, in gold, silver, bronze (and a special category for youth), are awarded annually by the Institute of Jamaica (IOJ), in recognition of notable contributions to the fields of literature, science and art in Jamaica and the West Indies. The award was founded in 1889 as a memorial to Sir Anthony Musgrave (Governor of Jamaica from 1877 to 1893), who founded the IOJ in 1879. 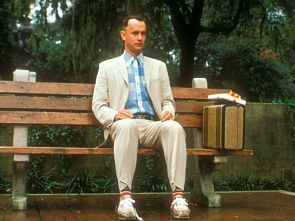 Starring opposite Sally Field, as the world’s adorkable misfit, Hanks won over audiences with likeability and a heart of gold, creating a stirring portrait of what it means to be different in the face of incredible odds. 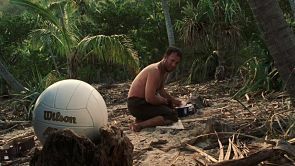 As a shipwrecked sailor fighting rough seas and the threat of mental illness – with only a beach ball (Wilson!) for companionship, this actor’s actor’s bravura turn gave new meaning to the idea of the solo adventure. 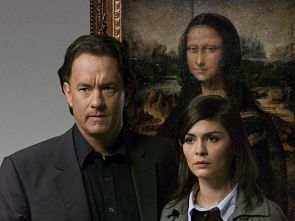 The Oscar winner’s convincing work as cryptologist and Harvard Professor Robert Langdon helped make a memorable hit out of this divisive film adaptation of the Dan Brown bestseller. 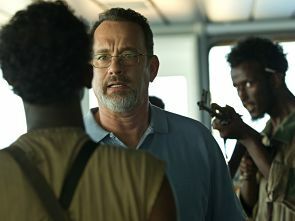 Hanks turned in robust work as the titular captain whose heavy-laden cargo ship gets hijacked by vicious Somali pirates. What plays out is an explosive tug-o-war between life and death. Gripping. Working alongside Denzel Washington, Hanks gave what became his first Academy Award-winning performance, playing a gay man whose moving story touches on the scourge of AIDS, human rights, dignity and common decency. It’s a must-see. 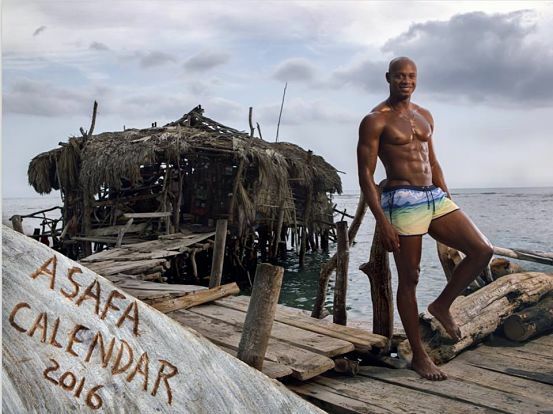 MAN OF THE ‘YEAR’: While the rest of us are cruising towards the end of the year, Asafa Powell and his female fans are already living it up in 2016! The self-proclaimed sub-10 king and man-about-town on Thursday night launched his latest calendar at The Devonshire, Devon House, in St. Andrew. (We hear that the likes of Denyque and Sherone Simpson were early birds.) As for the verdict on the calendar? It’s been getting rave reviews and the word on the street is that it’s ‘pepperseed hot’ and a step up from last year’s offering. Raising the bar for the athletics superstar meant hitting the road with ace photographer William Richard to capture Powell striking poses against some of the most breathtaking natural backdrops islandwide, including some of his favourite hot spots – from the hills to the valleys to the seaside. As you give so shall you receive, and with his annual calendar is giving back to his fans (for a small fee) who continue to cherish him and bring a smile to his face even in the tough times. THE FIGHTER: Next to Carol and Danny Boyle’s Steve Jobs biopic, one of the most highly anticipated films on TALLAWAH’s Must-See List for the rest of the year is the boxing drama Creed, a modern update on the Rocky franchise, which pairs the legendary Sylvester Stallone with young Hollywood’s reigning man of the moment, Michael B. Jordan, in a tale of big dreams, second chances and second-generation sporting ambitions. Leading a cast that also features Phylicia Rashad (The Cosby Show, A Raisin in the Sun) and Tessa Thompson (Dear White People, For Colored Girls), Jordan stars as Adonis Thompson, a determined young boxer following in the footsteps of his legendary father Apollo Creed. With Rocky as his mentor and coach, Adonis strives to carry on his father’s legacy but does he have what it takes to go all the way? He’s in for the fight of his life. Creed, which arrives in cinemas in November, reteams Jordan with director Ryan Coogler, with whom he worked on the critically acclaimed Fruitvale Station. It remains to be seen what their creative partnership will yield this time around. Watch the trailer above. Watch the trailer HERE. THE BIG DAY: Senator Grant celebrating his King's House moment with wife Millicent and longtime colleague Leighton McKnight. Spending over 30 years in the same field is enough to make anyone feel jaded. Not Senator Norman Washington Grant, whose exploits in the world of agriculture, the local sector in particular, goes back three decades and counting. And he still feels like a young boy on the first day of school. An upbeat and deeply inspired character in person, Grant (the longstanding president of the Jamaica Agriculture Society), Grant speaks eloquently and passionately about his work, what keeps him going and the kind of contribution he wants to make next. To say the least, working in the agricultural industry and playing a key role in pushing the sector forward matters deeply to him. A man who has him fingers in many pies, Grant has also given numerous years of his life to the 4H Clubs, the coffee industry and the list goes on. But the contribution he seems most of today is being instrumental in the launch of the "Grow What We Eat" campaign, which has made a significant dent in the public consciousness and is now in its 12th year. “That’s a significant highlight for me,” he tells TALLAWAH, emphasizing that the work continues. A solid presence in the Jamaican Senate since 2002, Grant’s major strides in an area he’s endlessly passionate about has not gone unnoticed. 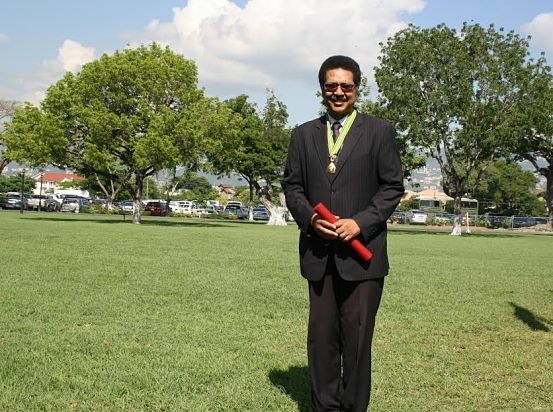 In fact, on Heroes’ Day, the government showed how much his work matters, when Governor General Sir Patrick Allen presented him with the insignia of the Order of Distinction (Officer Class), alongside 46 other outstanding Jamaicans so honoured. At age 51, Senator Grant readily sums up his life as a journey chiefly characterized by a commitment to nation-building. “My life has been one of service dedicated to a sector that means a great deal to me,” shares the JAS president, who also happens to be a doting father and husband. 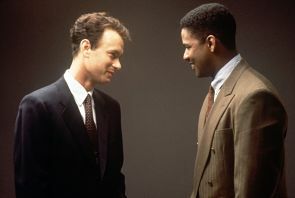 SPEAK NOW: Hanks (right) and Rylaance in a scene from the spy drama. Dominated by a towering performance from Tom Hanks, Bridge of Spies seamlessly combines elements of the noir thriller and the spy drama to whip up a captivating tale of war and peace, patriotism and global terrorism. It’s masterfully directed by Steven Spielberg and though a tad overlong, the Coen brothers (No Country for Old Men, Fargo) and co-writer Matt Charman do a fine job with the script. 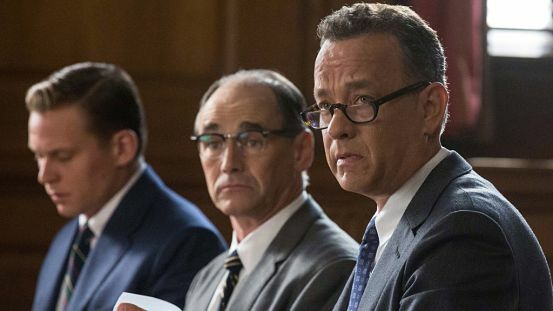 But what best accounts for the movie’s core appeal is the intrigue, conspiracy and fascinating series of events (based on real-life happenings) that it chronicles – all the while anchored by Hanks at his imperious best. Perhaps the most ‘serious’ we’ve seen him since playing Professor Robert Langdon in The Da Vinci Code and the titular hero in Captain Phillips, Hanks stars as Jim Donovan, a Brooklyn-based based criminal lawyer who finds himself in the glare of the public spotlight when he is called on to defend Rudolph Evanovich Abel (Mark Rylance), a Soviet spy caught by the feds and awaiting trial and sentencing. Though at first reluctant to take the case, Donovan chooses to see this as any other case and part of his patriotic duty. On the surface, he’s a decent, upstanding father figure just doing his job but not even that can save him from the backlash and the steep price his family (Gone Baby Gone’s Amy Ryan plays his put-upon wife, Mary) must pay). In one scene, there house is sprayed with bullets. But it is Jim, of course, who must bear the brunt of the people’s ire when a public outcry ensues. He is branded a traitor defending an enemy of the state. Hero or sellout? Set in 1957 at the height of the Cold War, when the Soviets and Americans are at odds over nuclear weapons, the FBI and the CIA have bolstered their zero-tolerance approach when it comes to issues concerning espionage, ‘atomic secrets’, and public safety. Over in Berlin, Germany, the East and the West are at each other’s throats. Working with terrific source material, an accomplished cast (also featuring Sebastian Koch and Alan Alda) and a storied piece of history to explore, Spielberg has little difficulty crafting a cinematic experience that weaves a complex yet engrossing mix of period drama, conspiracy theories and edge-of-your-seat thrills that take viewers from the heart of the US mainland to Europe (the war-torn German, in particular) and back again. It’s quite a breathless ride. Strongly acted and intriguing to a fault, Bridge of Spies yields undeniable proof that change is never easy nor easily accomplished. FULL CIRCLE: Cast members blending movement and singing in a scene from the play inspired by the work of Erna Brodber. A young girl’s coming-of-age and sexual awakening lies at the heart of Ratoon, a new drama by the Edna Manley College’s School of Drama, best described as an off-shoot of Erna Brodber’s classic 1989 novel Jane and Louisa will Soon Come Home. It is brought to the stage at the Dennis Scott Studio Theatre with electric energy, humour and melodrama by a devoted cast of promising student actors, who bring the show to life under the watchful gaze of Carolyn Allen. But Ratoon is by no means a flaw-free production: the claustrophobic staging robs the piece of much of its expressiveness and the monotonous costuming, in particular, makes the whole thing feel one-dimensional. But its heart is in the right place, offering viewers a frank and unflinching meditation on class relations, Jamaican cultural heritage, family tradition, notions of womanhood and self-worth and what it means to have roots. The intermittent socio-political commentary gives it balance. The name ‘ratoon’ refers to the leaves and stems that grow back after a plant (usually sugar cane) has been pruned. Small wonder then that ideas of regeneration and rebirth, as well as the incessant refrain, “building a new Jamaica,” course throughout the play. Raised on her iron-willed Aunt Becca’s (Shanthele Simms) preaching of upward social mobility yet deeply influenced by her father’s (Rajeave Mattis) staunch devotion to nation-building, starting at the community level, the impressionable Nellie (Christina Mason) finds herself caught between a rock and a hard place when it comes to making plans for her future. She gets a scholarship to attend university but feels torn between two vastly dissimilar male friends – the wise and conscious Baba (played by Derrick Clarke), who has Med School ambitions, and Noel Spence (Yohan Reynolds), who knocks her up in more ways than one. “Woman luck deh ah dungle heap,” someone informs her. As soon becomes evident, Nellie (a meaty role for the competent Mason) is a mass of contradictions – and the same play could be said of the play itself, which equally sprouts family values and heavy ideology centred on divisive issues of the day. The show’s shortcomings aside, the young actors (clad in all black) take to their roles with gusto, none more so than the female quartet, who amusingly portray the play’s Four Fat Women. One of the play’s strongest assets, there is amply humour (traditional singing and movement as well) to go around. As expected, Allen and co. take creative liberties with Brodber’s original vision, and while the story’s emotional payoff feels somewhat limited, Ratoon, thankfully, possesses key elements that all worthwhile theatrical productions should: it’s accessible, entertaining and makes a solid point. already been optioned for debut on TV-J early next year….. And speaking of dynamic divas, special kudos to the homegirl Saudicka Diaram (right), whose insightful new-kid-on-the-block gabfest, The Saudicka Diaram Show, is a bonafide hit according to word-of-mouth reviews. 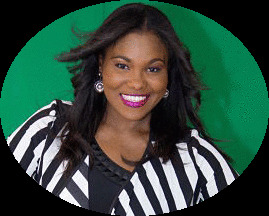 We’ve been huge admirers of Miss Diaram’s ever since she single-handedly transformed CVM’s lifestyle/entertainment spot D’Wrap into must-see Friday-night TV. Now, she’s gone on to bigger things – and on a platform that has her poised to make some serious life-changing impact. Move over, Susan!..... 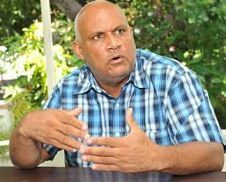 Meanwhile, we know at least one power player who won’t be caught off guard should an official announcement come that Jamaicans are going to the polls before the end of the year: Director of Elections, Orette Fisher. “We are as ready as we can be under the circumstances,” Fisher recently told RJR News. Unsurprisingly, anticipation is rife across the island for Sista P to call it. Stay tuned. STAGE PRESENCE: Rawlins, starring in Basil Dawkins' Where Is My Father?, December 2012. 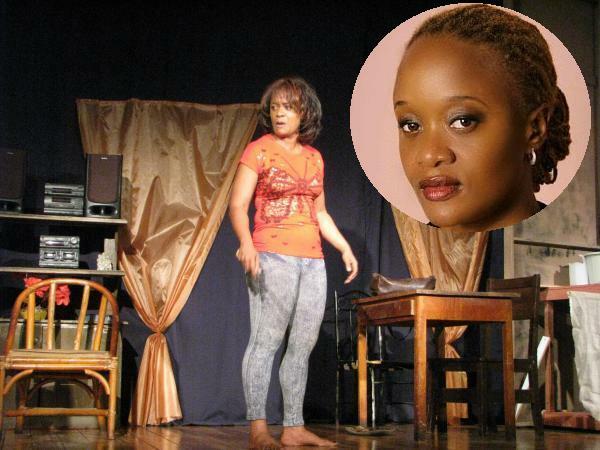 Easily ranked among the most gifted and accomplished theatre artists of her generation, Nadean Rawlins keeps showing and proving that there’s no ceiling on her remarkable talents. Whether she’s burning a hole in the stage (To The Finish, Where Is My Father? ), bringing some star power to the silver screen (Destiny) or calling the shots on a labour-of-love project (this month’s ensemble piece The Black That I Am), the multiple award winner delivers something truly memorable. Channelling her inner Tyra Banks, Rawlins has begun expanding her mogul-in-the-making portfolio by launching Raw Talent, a skill development agency that wants to take you places. TALLAWAH rang up the multihyphenate go-getter, now based in the Second city, to talk about her new chapter, success, and making a difference. TALLAWAH: What made you choose The Black That I Am for your latest producing-directing effort? Nadean Rawlins: Karl Williams is one of my go-to writers, and we did this play about 10 years ago with the University Players, so this year marks its tenth anniversary. So we felt it would be a nice monumental occasion and, coinciding with the whole Heroes Day weekend, it seemed appropriate. TALLAWAH: Absolutely. So what was it like directing a six-member ensemble cast? Rawlins: It’s been interesting. I fully realize now what it’s like to be on the other side of the process. (Laughs). But it’s not my first time directing an ensemble cast like this because for my first show we did Country Duppy, which had a cast of five. But doing this show has been a labour-of-love. It’s manageable because it’s mainly monologues and poetry. And being very close to the writer has also helped because I know his style and I know his vision, so it’s been fun putting my own spin on his story of being a Black man. 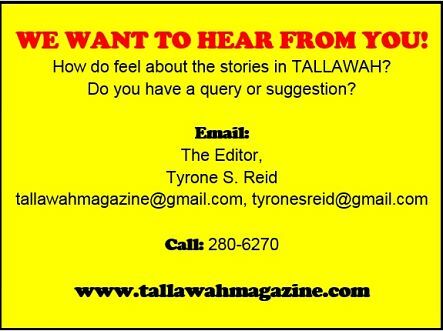 TALLAWAH: What do you hope viewers take away from the experience of seeing your version of Williams’ masterpiece? Rawlins: I’ve spoken to several of the audience members since we opened last week, and every single one of them say they enjoy it because it’s not your typical production; it’s different. They’ve never seen a play like this. And that’s one of the things I like most about doing it. So far, the audience size has been fair, but we’re anticipating larger numbers. I’ve also been trying to get the schools in this area involved, so that some of the theatre arts students can come and see the show without having to travel all the way to Kingston. TALLAWAH: As an artist your continued and evolving success has been nothing short of phenomenal. Are you enjoying the ride? Rawlins: I am, but it’s a lot of hard work really. I am grateful for the success I’ve had over the years doing what I’m passionate about. But I think my success is only just beginning. I can taste it. Sometimes mi nuh sleep, and I have a lot on my plate. My 9-to-5 is also very demanding because I work in security. But I have my grandmother’s energy in my pulse. I am a go-getter and I think I get that tenacity from her. TALLAWAH: Congrats on the establishment of Raw Talent, your artist management and talent agency. That’s so cool! What do you hope it accomplished in the long term? Rawlins: It’s a developmental agency for individuals to optimize their abilities – whether you can cook, sing, act, speak well. I will help you to build and develop what you have. It’s really about managing the person; that’s my main objective. The emphasis is also on PR, events, and communication. I’ve always wanted to do something like this because as a young artist I never had anybody to help me, so this is my way of making a difference. TALLAWAH: We thoroughly enjoyed your couple scene in the film Destiny. You’re one of the Jamaican stars we feel deserve way more shining time on the big screen. Rawlins: I want to do more work in film. I’ve been asked to do one more since I did Destiny. It’s a project by a local female director. I’ve read the script, and I’ve agreed to do it, but right no date has been set for filming to begin. I think Jampro is helping to get that sorted out. It’s an ensemble piece for four women but right now it’s still a work in progress. But I definitely want to branch out into the film world some more. That’s why I’m doing more producing and directing. I’m growing as an artist. TALLAWAH: By the way, now that you’re a member of the Fairfield family in MoBay, what plans do you guys have to jazz up the place some more? Rawlins: The theatre has been around for about 40 years now, but it was dormant for like the past two years. So when I moved to MoBay Douglas Prout was happy because he knew we could revive the place. Right now it needs a lot of renovation; there are water issues. It just need a lot of work to get back on its feet. We also want to encourage other writers and producers to come on board because this is the only theatre in the west. There was so much happening here years ago, and so the thrust is to restore it. We want the political representatives and community leaders to see what we’re doing and give us some support. 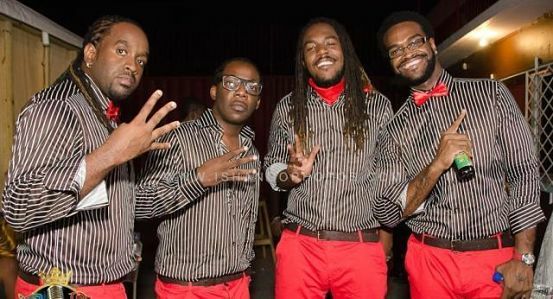 BAND OF BROTHERS: "Music is what we love doing; so we just keep it real." Fresh from an exhilarating performance in Haiti, the roots-reggae rockers, whose sophomore album, Destiny, was among the best reggae releases of the past year, are no focused on raising the bar with their next full-length effort. It is due out by the summer of 2016. In the meantime, the band put in a sharp 20-minute performance to close the show at Water the Roots at their alma mater on Saturday. “This is home for us, so anytime we come back here is always special,” Watson says. 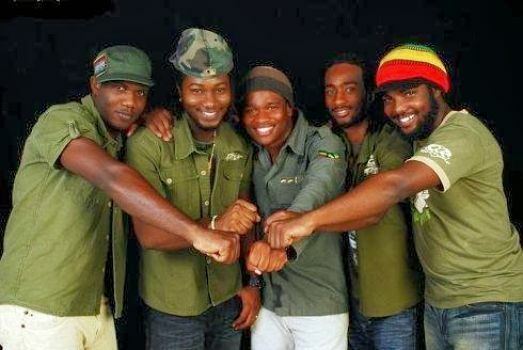 Lucky for them, Raging Fyah will be ending their year on a high note, when they headline the Wickie Wackie Music Festival in Bull Bay, scheduled for December 5 and 6. “It’s still in the planning stages, but this is the sixth staging, and it will be the best one yet,” Bent predicts. As for the rest of the lineup, it doesn’t get any better than Kabaka Pyramid, Jesse Royal and Morgan Heritage. TWO OF A KIND: Miller shares the frame with Lorna Goodison at the 2013 Kingston Book Festival-sponsored event “An Affair with Literature inside the Neville Hall Lecture Theatre, UWI Mona. When the inaugural Lignum Vitae Awards are handed out Sunday, November 8, during a presentation being hosted by the National Gallery of Jamaica, close to ten writers (a mix of established names and newcomers) will be hoping to hear their names called when the big winners are announced. No strangers to picking up accolades for their work, prolific novelist/poet Kei Miller (well known for The Last Warner Woman) and in-demand playwright Patrick Brown (this season’s The Baby Scam) lead the pack of Jamaican scribes who’ve scored nominations. Both are up for the Una Marson prize. While Miller, whose oeuvre also includes The Fear of Stones, Writing Down the Vision and the Forward Prize-winning A Choreographer Tries to Map His Way to Zion, is a nominee for his latest novel Augustown, Brown got a nod for The Cherry Picker. Carrying a handsome cash prize of $500,000, the Una Marson Award is also being contested by Garfield Ellis (The Angel’s Share), Sylvia Gilfillian (The Road to Timnath) and Dana Hemans (Tea by the Sea). The Vic Reid Award, valued at $250,000, has only two nominees: Paula Lennon’s The Titchfield Turnabout and Diana McCaulay’s Gone to Drift. Similarly, just two authors are up for the Jean DaCosta Award (accompanied by a $250,000 cash prize): A Different Me: A Better You by Janet Morrison and Duppy in the Wardrobe by Helen Williams. According to organizers, more than 40 entries were submitted for consideration. This year’s sponsors for the Lignum Vitae Awards, conceived to reward excellence among Jamaica’s wave of literary artists du jour, include the Broadcasting Commission and Jamcopy. 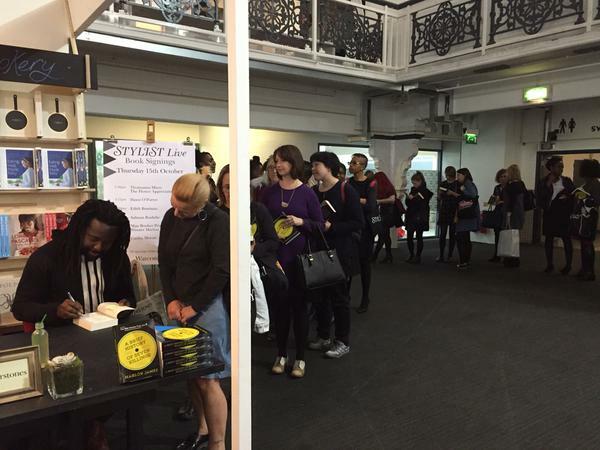 > SIGN ME UP: Armed with fresh copies of A Brief History of Seven Killings, a large crowd turned up at Stylist Live, one of the biggest book events in the UK, on October 14, to have face-to-face time with Man Booker Prize winner, Marlon James, who was kept busy supplying autographs. "It was the most exciting book on the shortlist," chief judge Michael Woods reports. "It was a unanimous decision. There are many voices in the book, and it just kept on coming."